Even in this current era where everybody is taking their businesses online, both online and offline companies require occasional shipping of their products (Source). This is where posts play an important role. However, every package differs; hence, it necessary to weigh the product to obtain an estimate of the required shipment fees. Postal scales save time and money, as you can quickly know the exact weight and the corresponding postage of your package. Thus, these postal scales minimize the typical instances of being overcharged. With plenty of brands available on the market, it can be challenging to find an excellent quality-weighing machine to invest. The best scale should undoubtedly suit your needs, be accurate, have good power options, and ideal measurement units. DYMO scales are well known for their incredible build quality and effective nature. The DYMO Digital Shipping Scale feature highlight is the built-in wrap-around handle that allows for easier handling of heavy packages. 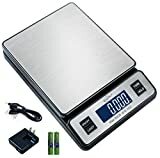 Moreover, it is a battery-operated digital scale with a detachable LCD. This part adds on its convenience as you can mount it on the wall or hold it with your hands when reading your package readings. 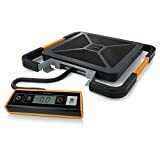 Unlike other top models that don’t have the provision for printing labels, this heavy-duty portable scale allows users to connect to their Macs or PCs through USB cables for online mailing and shipping services. Additionally, its hold and tare come with a simplified weighing process, too. This allows you to hold your previous reading and zero them out when necessary. Furthermore, it features an automatic shut-off feature when left idle for three minutes. Yet another battery-operated tabletop postal scale, the American PS-25 Postal Weigh Scale is designed to weigh small packages and envelopes specifically. It comes with a backlit LCD that allows you to read the weight of your packages effortlessly. Furthermore, it features a built-in letter or mailing tube, powered by 2AA alkaline batteries and an AC adapter that gives you the freedom to start using the postal scale right away. However, calibrating the scale requires that you use a 10kg weight. On the plus side, you would only have to do this once. Lastly, unlike our first model, the American PS-25 Postal Weigh Scales is a weighing machine. Therefore, it cannot be connected to any other device. If you are looking for a long lasting postal scale, consider the Weighmax W-2809 Digital Postal Scale. This digital postal scale boasts of a stainless steel platform that not only enhances its lifespan but also maintains its aesthetic appearance over time. Something entirely different from this model is the four reading modes that save time and hassle of having to convert the units. You can do readings in oz, kg, lb, or lb/oz. 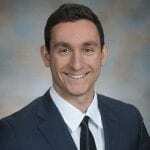 Besides, once you have weighed your package, there is no need to write down its weight since the machine comes with a hold function that locks the measured package weight even after taking it off. Alongside that, this equipment also solves the problem with basic postal scales where you have to add the weight of the previous item in your current package. It features a tare function that allows users to zero out the individual weight of packages. Additionally, after 90 seconds of idleness, it shuts off by itself, too. However, note that the power saving mode of this device only works when using the battery mode. The good thing about this is when out of batteries, you can use the AC adapter and USB cable for power supply, but the USB cable is only for power purposes and not data transfer. Lastly, it boasts an extra large LCD lit screen. 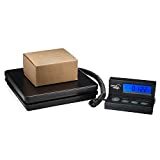 Hence, overall, this is an excellent choice of postal scale for home use, office use, and other situations where packages below 90lbs are weighed. If you are searching for a postal scale to suit your small business with modern features, consider the Accuteck ShipPro Digital Shipping Postal Scale. Alongside the latest technology, it is designed to handle packages weighing up to 110lbs as well. Moreover, it comes with four measuring units. Most notable, however, is its overly powerful hold and tare function. Furthermore, it takes advantage of two power sources. It is battery-operated but can be used with a USB cable, too. Again, the USB cable connection is solely for charging and not mailing or information transfer. Additionally, Accuteck ShipPro Digital Shipping Postal Scale comes with an energy-saving backlit LCD that is large enough to provide easy readings even in dark environments. The new models of this machine are available in gray and black colors. 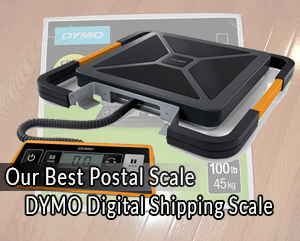 Overall, this modern–style postal scale is a good choice for bigger packages. As the name suggests, the Smart Weigh Digital Shipping and Postal Weight Scale is an advanced postal scale that makes the weighing process both simple and interesting. It features high precision sensors that provide precise weight recordings. Additionally, it has an auto-calibration feature. Moreover, its hold and tare feature makes the weighing process of this scale easy. You can hold on to the readings by merely pressing the hold function. Meanwhile, its tare option allows you to read the weight of empty boxes. Notably, it wins big when it comes to its smart design as well. Reading the measurements is pretty easy, too, due to its large display. Consequently, it comes with an auto shut down feature after two minutes of activity. Overall, this device is sturdy enough to suit both home and office use. It comes with an extended power cord that allows users to connect with a wall switch. Postal scales are of immense importance for businesses that require shipping. Different postal weighing machines are specifically designed to be used on specific conditions. To ensure that you don’t make the wrong choice, consider the following guides when shopping for a postal scale. There are two designs of postal scales on the market: mechanical and digital. Mechanical models are simple to use. Here, the package to be weighed is set in the weighing platform and weight reflected through a needle meter. Hence, they are best for small business establishments. However, a common drawback with mechanical models is that the springs may stretch over time and result in incorrect readings. 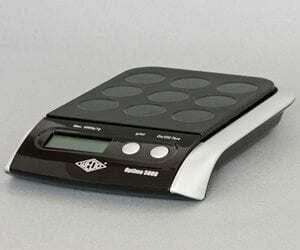 On the other hand, digital scales are linked with and can determine postage price. Therefore, the user will quickly know the weight and the cost of his/her postage. It features electronic updates that provide the utmost accuracy, too. Their only limitation is that they are quite pricey. Each postal scale has an individual weight capacity recommended by the manufacturer. This individual weight capacity dictates the type of packages that can be measured by weight on the scale. When shopping for one, consider a scale with a higher weight capacity that gives you the ability to weigh large packages in your premise. Whereas most scales weigh packages in different units, not all machines have these units. Using a scale with one measurement unit will bring up the inconvenience of having to convert the measurements every time. This step is a waste of valuable time. Always consider a weighing machine that displays in various units. An inaccurate postal scale may force you to pay some extra dues as a result of weight differences. The best scale should provide accurate readings for every package weighed. To ascertain this, check the manufacturers’ indication of the precision level of the device. Besides that, check customer reviews to see what previous users have to say as well. Unlike traditional postal scales, new scales can be battery and power operated. Others additionally have a USB option for data transfer. Different power options assure managing your scale even if your batteries run out and there is a power outage. Additionally, look out for the automatic power off feature that saves on power consumption. There are extra features that enhance the use of postal scales. Functionalities such as hold and tare function are crucial because they help in reading the display even when you take the package out. 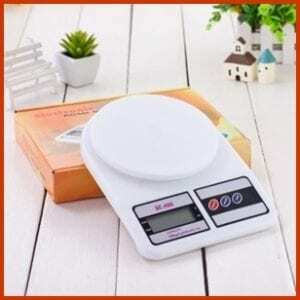 Moreover, for digital scales, check its compatibility with other devices. It is especially important if you want some access to online mailing and shipping services. Q: Does the post office have a scale? Yes, but it would save you time and money if you have your own postal scale. Being able to measure your items before you send them to the post office allows you to make necessary adjustments or at least know what to expect to pay, rather than being taken aback by a sudden price hike or being dismissed due to the weight of your item. Q: Does the post office round up or down on weight? USPS rounds up. If your item is over 6oz, they’ll place it within the 7oz category; likewise, if it is 3lb, they’ll put it within the 4lb category. Q: Should I buy a food scale or a postal scale? Either one will do, but postal scales can accommodate heavier items while food scales usually only handle smaller items due to its lower weight capability. Postal scales have been relied on for years by various businesses. From reducing overpayment to enhancing your mailing efficiency, these scales are a significant investment to any shipping company looking for success. Evaluate your needs, then go for a postal scale that fits it. However, the scale should be accurate, have your optimal weight within its capacity, and be able to provide alternative power options. Now, from our best postal scales review, which one is your favorite? Share with us in the comments section below.